Disney has announced plans to build a new mixed-use resort on the shoreline of Bay Lake at its Walt Disney World Resort in Florida. The new nature-inspired resort, due to open in 2022, will be located between Disney’s Wilderness Lodge and Disney’s Fort Wilderness Resort & Campground. The project joins three other resorts underway at Walt Disney World Resort, bringing a total of more than 1,700 new hotel rooms and proposed Disney Vacation Club villas online over the next four years. The deluxe resort, which will be themed to complement its natural surroundings, will include more than 900 hotel rooms and proposed Disney Vacation Club villas spread across a variety of unique accommodation types. 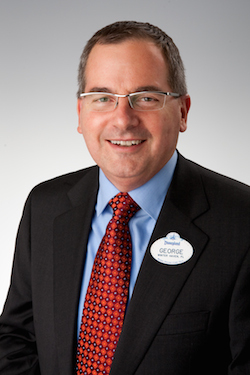 George A. Kalogridis, president of Walt Disney World Resort, said: “Walt Disney World is in the midst of our most significant expansion in the last two decades and the combined 1,700 new hotel rooms and proposed Disney Vacation Club villas we are building at four different resorts will create thousands of new construction and permanent jobs and will drive economic opportunity and incremental revenue for Central Florida. The soon-to-be named resort is slated to be Disney’s 16th Disney Vacation Club property and is set to continue to build on the value and flexibility of a Disney Vacation Club membership, which is also affiliated to RCI. Terri Schultz, senior vice president and general manager of Disney Vacation Club, said: “This resort experience will be a celebration of Walt Disney’s lifelong love and respect for nature, with some fun and even surprising accommodation types that families will find irresistible. 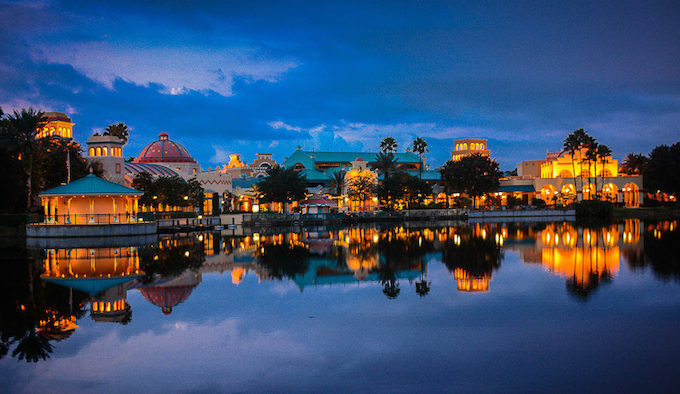 Disney’s Coronado Springs Resort will debut completely reimagined in 2019, featuring a new 15-storey tower overlooking Lago Dorado, the resort’s centerpiece lake. Offering an additional 545 new guest rooms and suites, the tower also includes a two-level entrance lobby, concierge lounge, new meeting spaces and more. Guests will also be able to enjoy rooftop dining at a specialty table-service restaurant with panoramic views. The existing 1,800 guest rooms have all been fully updated with new fixtures, furnishings and a colour palette that ties the entire resort together. Also currently under construction near Epcot and anticipated to open in 2019 is Disney’s Riviera Resort, the 15th Disney Vacation Club property. With plans for approximately 300 units across a variety of accommodation types, this much-anticipated property will connect to Disney’s Hollywood Studios and the International Gateway at Epcot via the Disney Skyliner. This new resort will be the first all-Disney Vacation Club property at Walt Disney World since Disney’s Saratoga Springs Resort & Spa opened in 2004. Seamlessly connected to Star Wars: Galaxy’s Edge at Disney’s Hollywood Studios, an immersive Star Wars-inspired destination will also be built at Walt Disney World Resort. This first-of-its-kind resort will be a completely immersive experience into an authentic Star Wars story as guests depart together for a multi-day adventure aboard their starship. Guests will interact with characters as they become active citizens of the galaxy, dressed in proper attire as stories unfold all around them. These resort projects join a flurry of expansion at Walt Disney World Resort, including Pandora – The World of Avatar at Disney’s Animal Kingdom and the recent debut of Toy Story Land at Disney’s Hollywood Studios. In early 2019, Walt Disney World will unveil a collection of shows, parties, Disney character interactions and more. 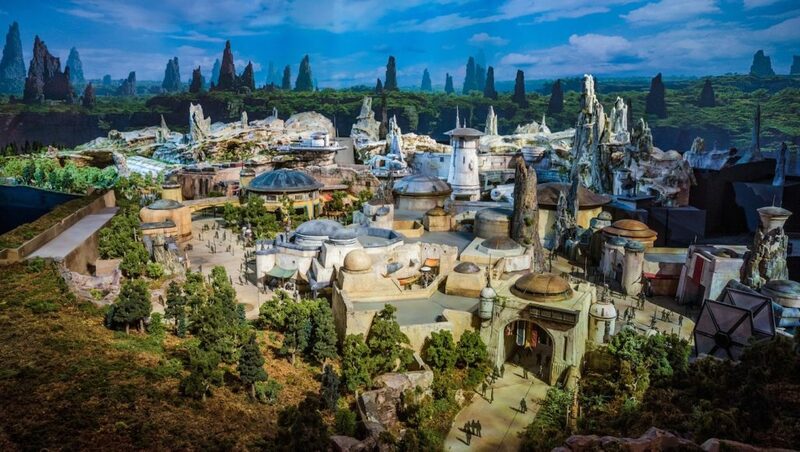 Later in the year guests will be able to travel to Star Wars: Galaxy’s Edge at Disney’s Hollywood Studios, where they can live out their own adventures in a galaxy far, far away.